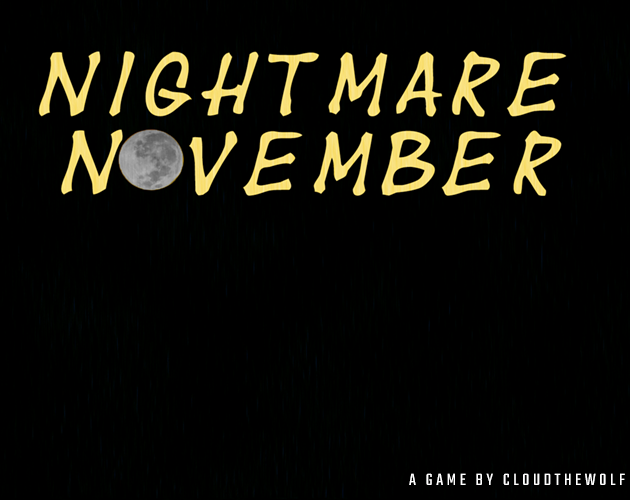 So let's talk about my entry for this years IGMC, Nightmare November. First off, I spent way to much time "Researching" for this game as the original idea required a full moon to last on Saturday, the 31st of November... turns out that'll never happen. Next, let's talk about design. As well as that, I am using the RTP/DLC Tile sets. But this year I added a darker tone to them (I'll explain why later). The Map designs are done in a way to make the player feel alone and unsure on what they might encounter. At the start of the game I made sure the player was in pure darkness with lights off in the distance to make them want to go there, and this will be done throughout the project. Speaking of lighting, this was the main feature I wanted to focus on and coupled with the map sized I think made the game look a lot better. But I know that some people may have older PC's that may struggle with the lighting effect, so I had to do a lot of trial and error to add a simple option to the game that I haven't seen in other RPG MV games I've played before. It't not a major thing, but will allow most people to play the game, even if they don't get to see it as fully intended, This is why the tile sets were made to look darker as well.